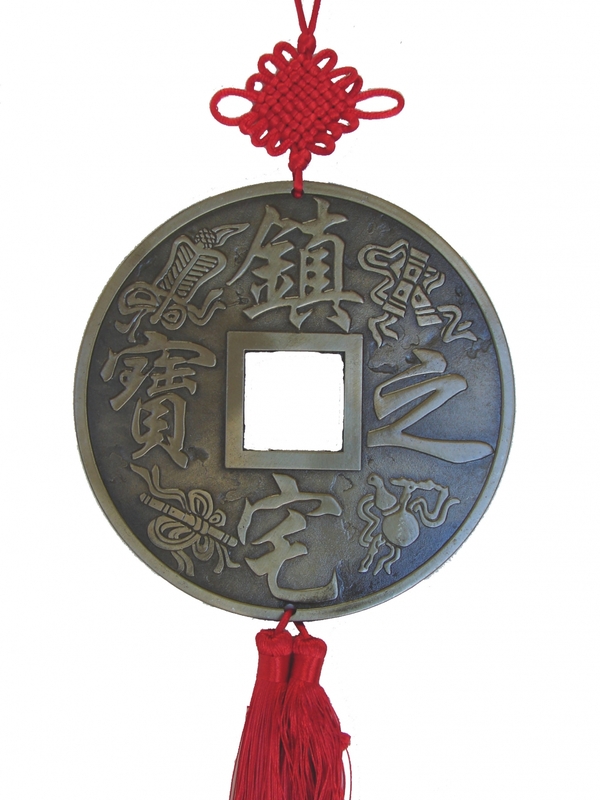 This feng shui lucky charm features of one big Chinese coin with images of double feng shui swords, yinyang and dragon phoenix on one side whilst images of power tools by Eight Immortals and Chinese words Safety House (镇宅之宝) on the reverse side. Hanging such feng shui good luck charm at home to safeguard your house and bring good luck. 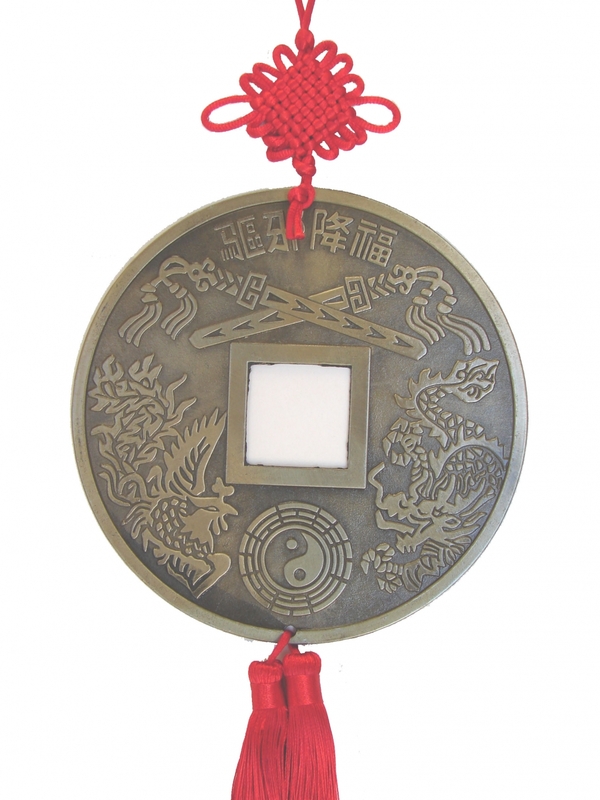 The feng shui coin is approx. 6.25" . The overall length is approx. 15.5".